About the time that redbuds flash their pretty pinkish blooms on eastern Oklahoma’s hillsides and gray streamside sycamores unfurl their fresh leaves the color akin to a wet lime, there’s something curious going on. And it goes mostly sight unseen. Smallmouth bass are on the move with the singular purpose of procreation. As Planet Earth wobbles back to the vernal position the daylight lengthens, shadows shorten and the creeks warm. These cues signal to what is arguably America’s top freshwater sport fish that it’s time to spawn. The fish that ardent anglers call “bronzeback,” hold a renowned reputation as energized packets of fish flesh. Twitch a floating stickbait on slick water over a dark pool at dusk or drag a crayfish-colored club-tailed jig over a gravelly run, and then hang on. The fight of this fish is always outsized. And expect a few leaps out of the water before you feel on your thumb its raspy lip at release. A plucky flip of the tail fin, a splash, and off it goes. Smallmouth bass are an angler’s favorite—have been for years since well before former U.S. Fish and Wildlife Service scientist and medical doctor, James Henshall, branded the species the “gamest fish that swims” in his 1881 tome, Book of the Black Bass. It’s still in print, by the way. If you’ve caught one, you’re not hearing anything new. You know the “arrowy rush” that Henshall spoke of. And if you’re a licensed angler, take heart in knowing that you are helping pay for leading-edge research into the whereabouts of smallmouth bass in select Oklahoma streams, that in the end can improve a strain of bronzeback unique to the area—and make fishing all the better. Dr. Shannon Brewer, an Associate Professor at Oklahoma State University, leads ongoing research into how the bass behaves through the year. Brewer and graduate student Andrew Miller monitor a strain of bronzebacks found only in the spring-fed streams in the Ozark highlands near where Oklahoma, Missouri and Arkansas converge. The fish is known as Neosho smallmouth bass—and it has an affinity for flowing water. This habitat and behavior research on smallmouth bass that swim in Oklahoma’s Elk River and tributaries is paid for through the U.S. Fish and Wildlife Service’s Wildlife and Sport Fish Restoration Program, collected through taxes paid by fishing tackle manufacturers on fishing gear, passed on to the angler. When an angler hears the ding of a cash register and coin drop in the till, they are paying for conservation. Brewer and Miller conduct the work expressly for the Oklahoma Department of Wildlife Conservation (ODWC), which, in the end expects to use research findings to inform fishery management decisions. How they get the work done is nearly as interesting as what they are learning. Brewer and Miller surgically implanted 100 Neosho smallmouth bass with radios, as early as 2015. The fish were caught by electrofishing, anesthetized, and the radios placed inside the body cavity and then stitched up. The bass were returned to the same streams in which they were caught after they recovered from surgery. A few radioed bass have been lost to otters and to anglers, but through the course of the study, at least 30 bass have remained tagged in each of three streams. The radios emit a signal whereby the researchers relocated the fish many times, some for nearly three years before the batteries exhausted. In the warm months of March to October, the fish were relocated at least once weekly; in the colder months, only once per month. Though the research is still underway the professor and student have been able to gather a fair amount of information, revealing when and where these bass go through the year. Where the males take up housekeeping in the spring is of particular interest. Brewer and Miller relocated the bass by walking streamside or kayaking, intent on hearing the distinct radio signals on a receiver they carried. Tracking through the winter months revealed very little movement, according to Brewer. Male smallmouth bass typically build nests over gravel in shallow water and court females to spawn. Males aggressively guard the nests during construction, through hatching and for a short spell as fry hover above the nest and the guarding male before disbursing to nursery habitat. The researchers noted that bass in their study seemed to concentrate in select areas which may speak to there being limited spawning habitat. As to what happened to the females, post-spawn, Brewer said they didn’t travel far, typically staying near the closest deep pools until around September when there seemed to be a downstream movement, particularly by the older and larger bass. The three streams that harbored the radioed smallmouth bass all lead into Grand Lake O’ the Cherokees. Curiously, none of the bass to date have been located in the reservoir – they have all stayed in the streams. Moreover, the bass stayed in the streams in which they were tagged, save for one female that moved seasonally between to streams. The preliminary results are surely fascinating, but Kuklinski says the full picture is not yet in view. The two researchers have more work to do and a great amount of data to analyze. As bass behavior and habitat selection in northeastern Oklahoma streams come into better focus, it should be good for fishery managers and for anglers, ultimately. 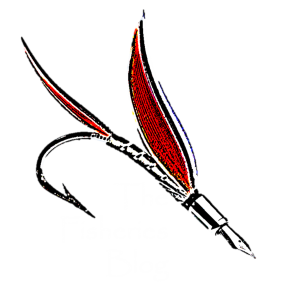 Next Post Are fish ‘Bad Moms’?